Front control panel makes for easy to operation. Adjustable digital cook time and temperature control. Conveyor belt has variable speed control. Separate top and bottom heat controls. Temperature ranges from 0°F – 932°F. 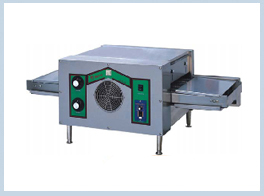 Conveyor Speed is adjustable from 1 minute to 30minutes.